Car keys can be the bane of our existence, especially if you’re the type of person that constantly loses things. It seems almost impossible to keep track of them sometimes. Car keys are expensive because of the modern technology that’s used to make them. At a dealer ship you could be paying more than $100 for an Audi car key replacement. However, with these apps and gadgets you might find yourself losing your car keys a lot less often and spending a lot less money to get them replaced. The Tile is an ingenious little gadget and app set that will help you keep track of everything, including your car keys. You can either stick it to something or attach it with a keyring and it with the app on your phone you will be able to find it. It has a range of different features that can be accessed through the app. You can command the tile to emit a noise so that you can locate it and whatever it’s attached to. If it’s too far away for you to hear the app will show you the Tile’s GPS location on a map and lead you to it. But, what if you’re too far away for the app to track? Well, thanks to crowdsourcing, your Tile app can use the information on other people’s apps to find your Tile. If someone with the Tile app installed on their phone walks near your lost Tile the information in your app will be updated right away and it will tell you where your Tile was traced. If you’re the sort of professional that carries round bags of equipment or an overstuffed handbag then this is the app you desperately need. The GearEye, like the Tile, works by tracking your items but, instead of helping you find lost items, this app is used to prevent you from losing your items in the first place. With the app you receive up to 200 battery free RFID adhesive GearTags that the GearEye app can track. Stick these tags onto all of your important belongings, including your car keys, and attach the GearEye dongle to the outside of your bag. After you’ve finished packing your bag, bring up the app and start scanning. Your GearEye will track the items and will tell you, based on the proximity of the items to the dongle, whether or not you have forgotten to pack something. If it notices that something is missing from your bag it will give you the option to locate it and the app will tell you where it is with incredible accuracy. For messy packers and professionals in a hurry this app is a saving grace and saves you from spending money on buying a tracker for each of your items. 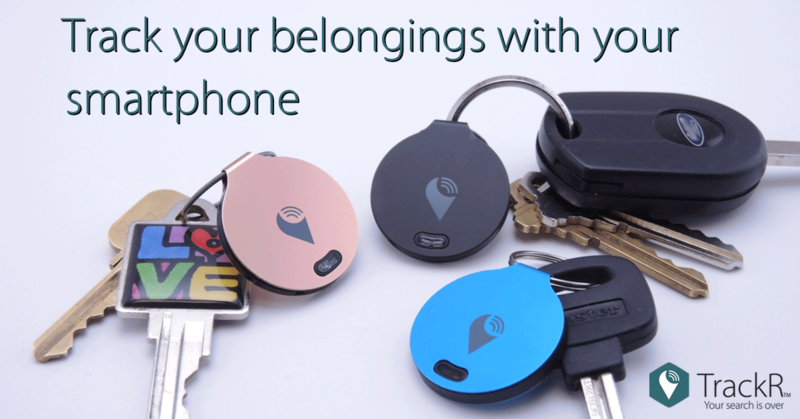 TrackR is perhaps one of the leading finders of lost things. With more than 4.5m TrackR units shipped, the device cannot only find your lost things, but when you sign up, you sign up for the TrackR network, which uses other people’s devices to find yours. The “crowd GPS network” will notify you when another user walks by your item, and sends you a confidential update. It is also integrated with Amazon’s Alexa, allowing you to ask Alexa where your things are.